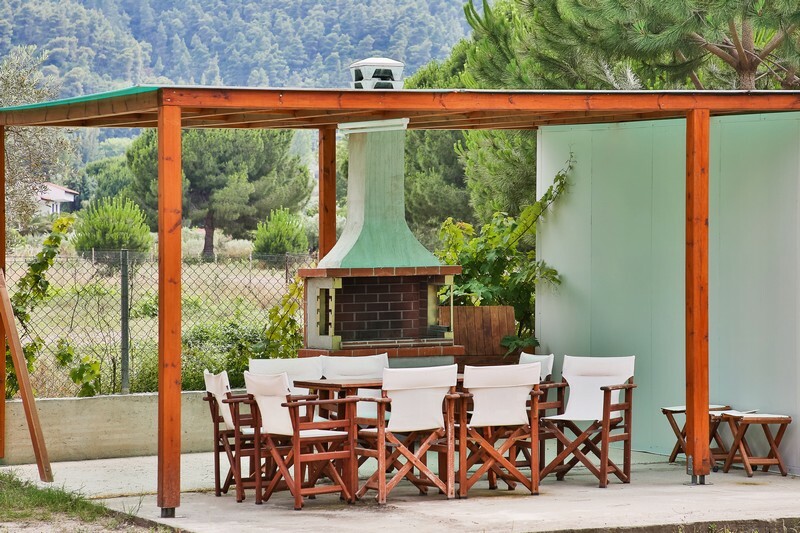 In our wonderful green garden there is an oasis of relaxation and well-being. 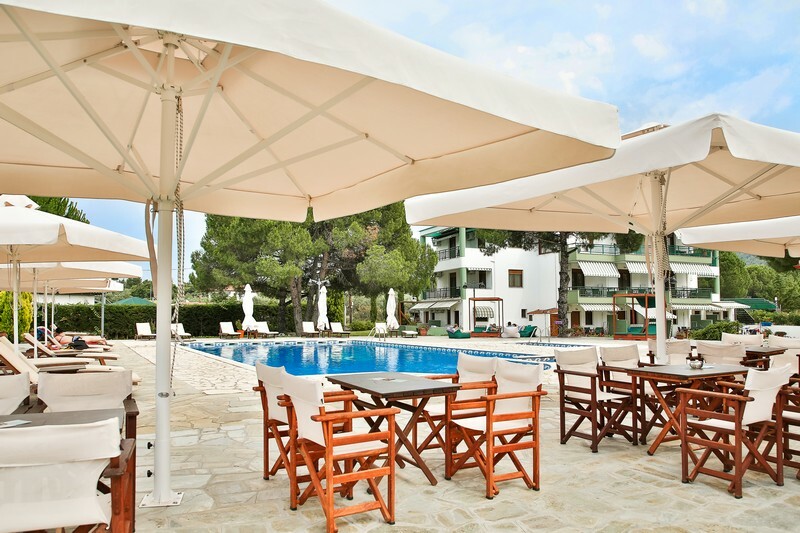 Enjoy the rejuvenating sun in the comfortable sunbeds, swim in the outdoor swimming pool or immerse yourself in the jacuzzi enjoying the view of the blue sky. For our younger friends, our kids pool is ideal for endless hours of carefree play while you are enjoying your sunbathing. 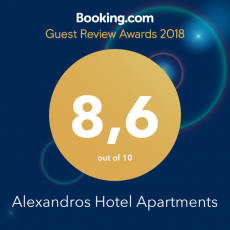 Experience unforgettable moments enjoying lounge music and unique service at the pool bar of Alexandros Hotel Apartments. Try our freshly made juices, unique snacks, freshly baked pastries, hot sandwiches, cool salads, alcoholic drinks and inspired cocktails. 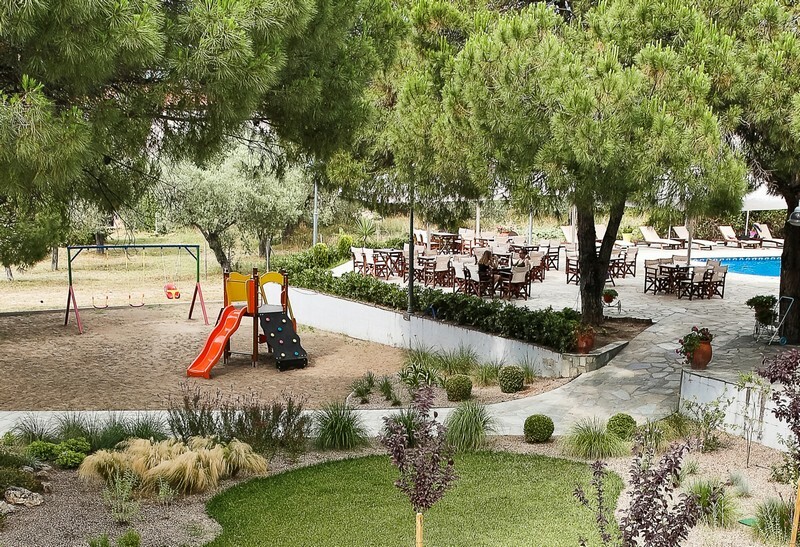 Enjoy your coffee while your children are having fun in the outdoor playground situated in our garden. It is open daily and is suitable for children aged 4 to 12 years old. A carefully built parking space is at your disposal 24h a day. 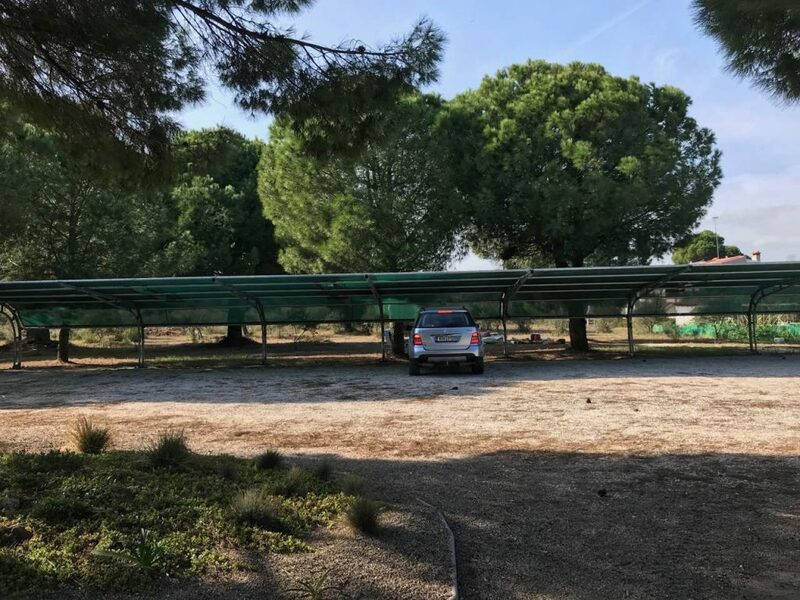 You can have your car parked safely under a roof a few meters from the apartment. Cleaning : bathroom cleaning and change of sheets and towels are free every three days. If you want your room cleaned daily, there is an extra charge. Baby beds and dining chairs are free upon request.